Bar in Eugene, OR Designed by Quip. This menu is specifically made for the more than 50 whiskeys offered by The Pint Pot and it exudes whiskey-ness. 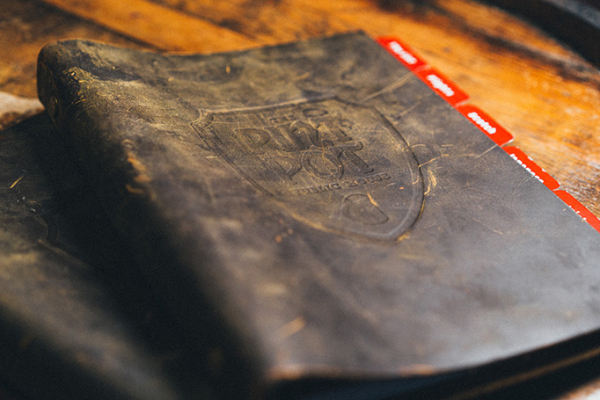 The leather covers, all in different hues of leather-ness, showcase nicely the debossed logo and house a comprehensive and informative menu. Visit The Pint Pot Public House.